A couple of weeks ago, I published a preview of the exclusive shade Cirque has created for its Singapore-based stockist, Mei Mei’s Signatures : “Fleur est Belle”. Annie, the creator of Cirque describes it as a "petal pink evoking images of the warm tropics and pink flowers that emanate whimsical femininity"... How promising! 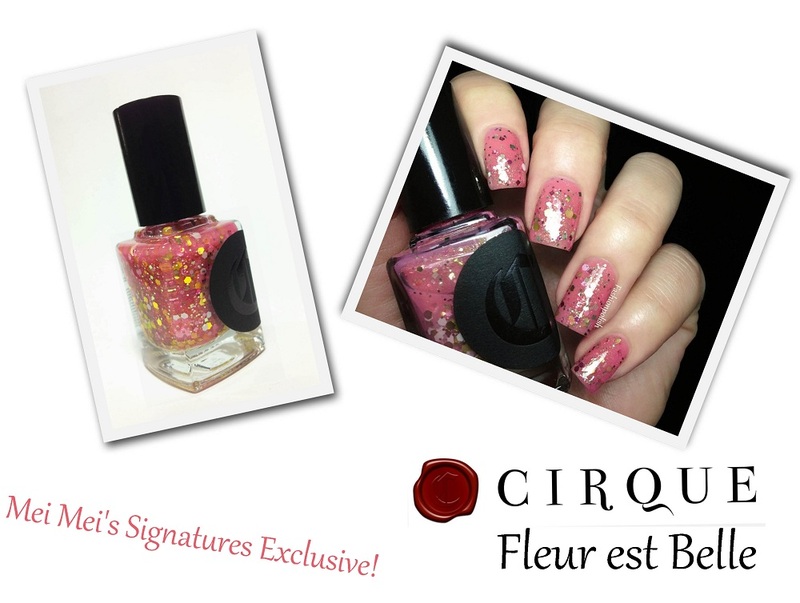 Fleur est Belle is a rich blend of gold, pink and white glitter as well as gold and pink shimmer in a jelly coral/pink base. The mix of glitter and shimmer is so complex and yet delicate that it adds a whole new dimension to the base. Formula was on the sheer side but completely manageable, leading to a surprisingly easy application. I used 2 coats plus topcoat here and although I didn't reach 100% coverage, I really didn't feel the need to apply a third. Fleur est Belle doesn't by any means call for Winter but I can't get enough of its sweet, topical deliciousness! What do you think about it? Does it appeal to you? 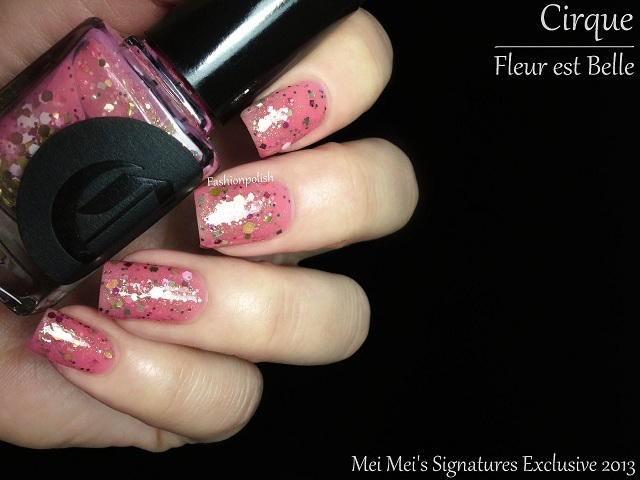 Fleur est Belle will be available at Mei Mei Signatures starting January 1st and will retail for 17SGD. Worldwide shipping is available (except to Italy). For more information, please refer to cirquecolors.com, meimeisignatures.com or follow Cirque on Facebook. Can't wait for this to come out, was dissapointed it got moved from the Dec 1st release date! Sweet and tropical is exactly right! This is one of my favorite of the Cirque polishes! The color is pretty! I can't imagine calling a polish "Flowers are Pretty" in English, but it looks like a really nice polish. This is super gorgeous! Love it! 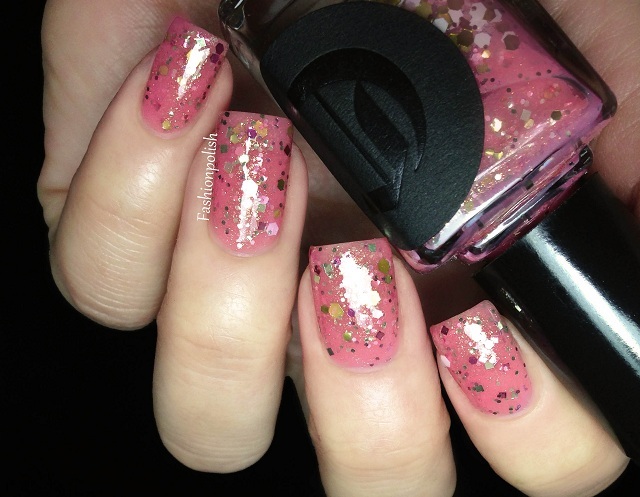 this is the most beautiful polish i've seen in a long time! must have!